This is the simplest way to protect yourselves and your funds. Please note that FreshForex managers will never ask you to provide username and password! Don't give your username and password for trust management, even if somebody promises high profit. In such case your funds are at full disposal of third party and you can't control operations on your own account. In case if this results in funds loss, it's nearly impossible to prove the guilt of third party. If possible try not to leave your device (mobile phone, tablet or laptop) with saved passwords and access to trading platform unattended in public places and not to use public WI-FI connection for access to trading platform and Client Area. It's recommended not to store trading passwords and usernames in email box, cloud service or any other service that can be accessed by third parties. It's preferable not to set standard passwords like "QWERTY" or "12345" and passwords containing dates of birth. It's better to use numbers, capital and small letters for the password. Besides, try to change the Client Area access password and trading passwords regularly. If you are not sure that the website is safe to visit, it's better not to visit it from the device you use for trading. Besides, it's recommended to use licensed anti-virus software and update it regularly. The last piece of advice: do not use public computers for trading and Client Area access. We hope that you find this information helpful. 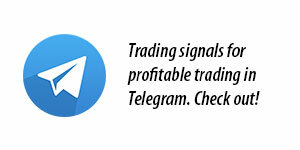 Safe and profitable trading!